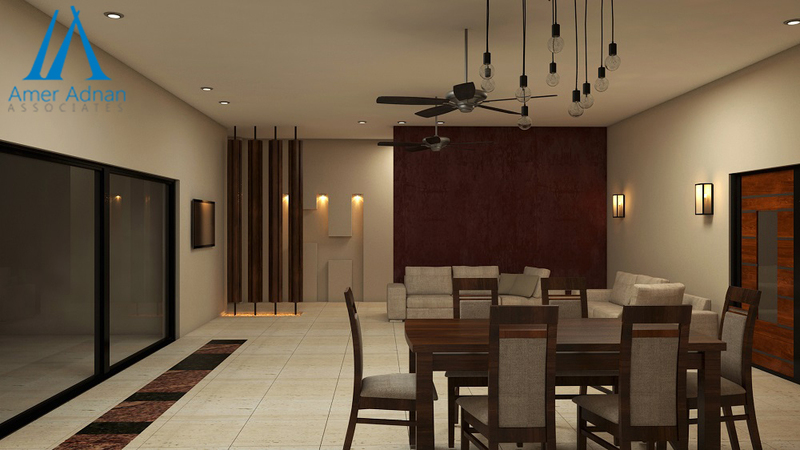 No matter you call it the family room, TV lounge, sitting area, den, front room or simply living room, you have that space where you get to spend most of your time in the house, other than the kitchen, that is intended for both social and family gatherings. 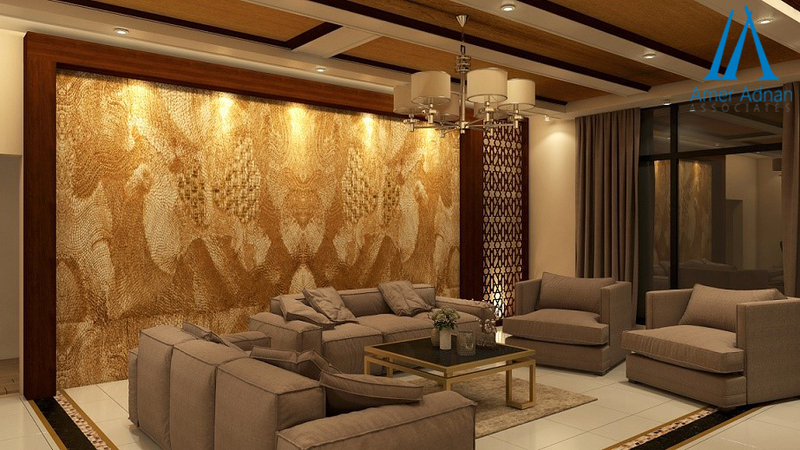 In Pakistan, living rooms are commonly used for different purposes than just watching television. It is here homeowners consume their favorite junk food while watching TV shows and movies, read those thrilling novels, intriguing books, and magazines and even chat with their friends over the phone when there is no fuss or crowd. So, it’s nearly impossible that you don’t want it to look both pulled together and relaxing. However, it can be a tricky affair to get the balance right when you want it to serve as a multi-function room. 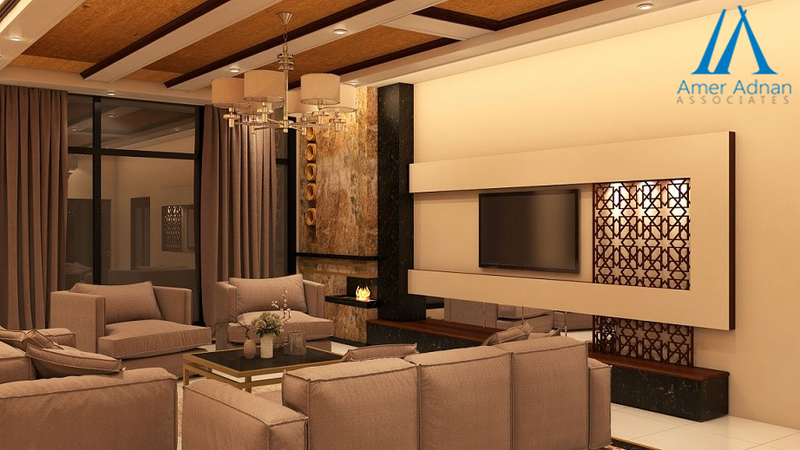 However, with the assistance of the best construction company in Lahore, you can explore infinite design ideas and pick one that inspires you and allow you to make the most of your TV lounge. Here we have showcased some unique and modern living room design ideas for those who prefer a more formal living room. 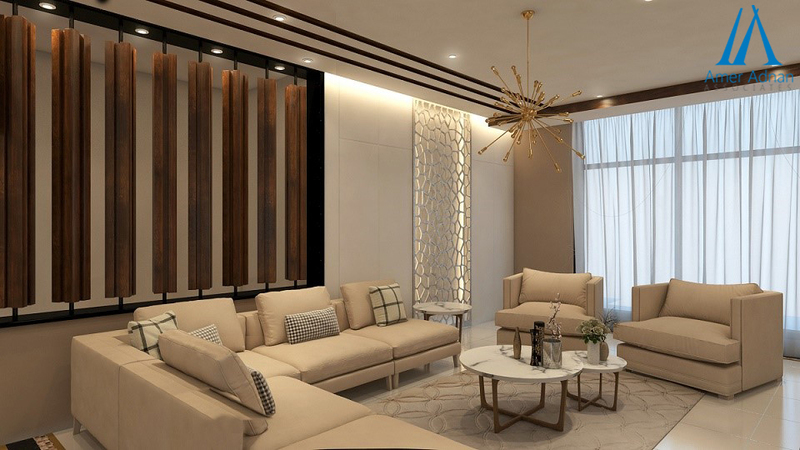 A modern living room design featuring laser cut metal panels, a ziarat white marble fireplace, and a dramatic statement chandelier. The other side of the room is adorned with exquisitely designed wooden louvers. While the ceiling lights are drawing attention to detail. 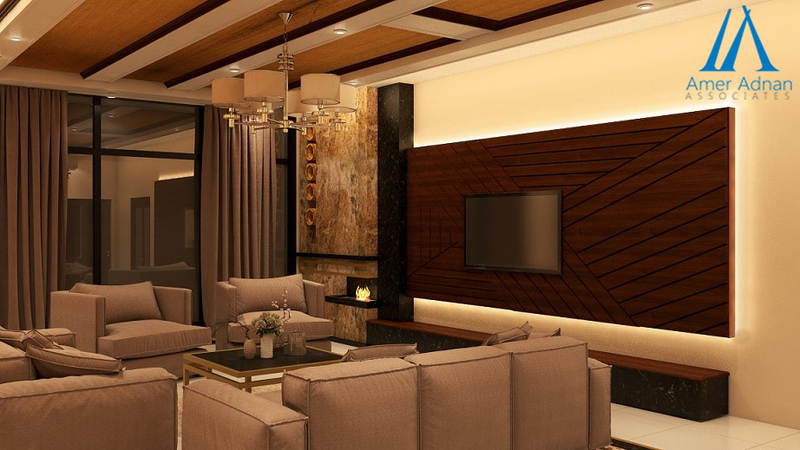 While the TV wall has a fabulous integrated design created with wooden panels and textured paint, the corner fireplace is further adding charm to the formal contemporary living space. 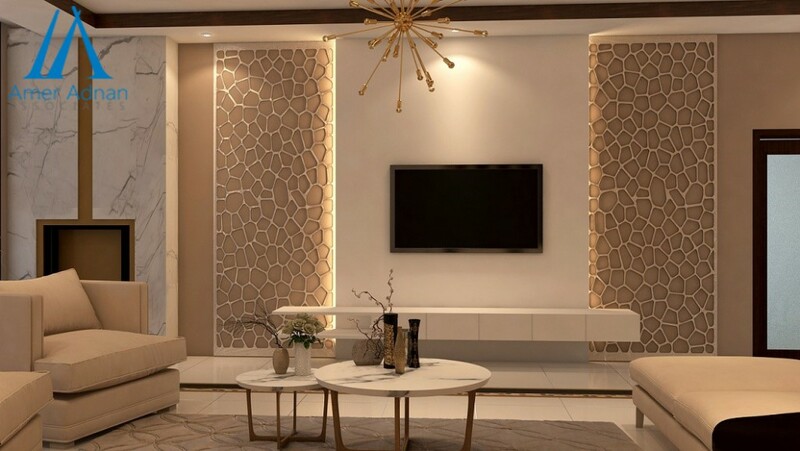 An inspiration for a modern living room with laser cut wooden painted screen, a corner fireplace, beige hues and beautifully carved ceiling design. The other side of the room has a framed mosaic feature wall, wooden panels with textured paint and ceramic tiles on the floor.